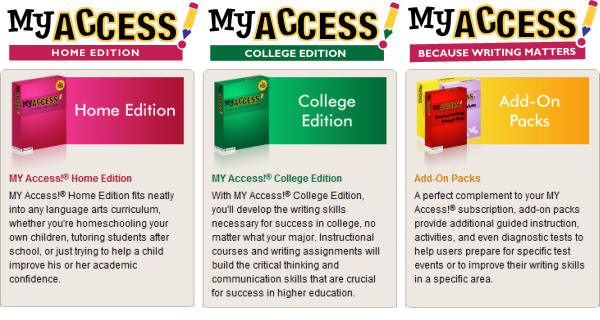 My Access! 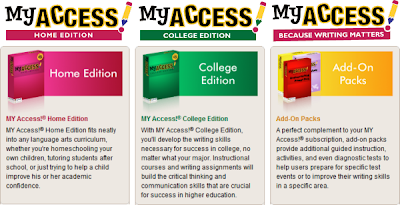 is a good online writing program that we used for one year. The essays are graded on-line, by computer and scored on grammar and content. It is self-paced and as a parent you can log on and see how your student is doing. They can check as well and see their score. There is a home edition which you can purchase at their site, or it is also carried by the Homeschool Buyer's Co-op. Here is the demo center.